Always loved the iconic Ford Mustang? There is new reason to eye it even more. 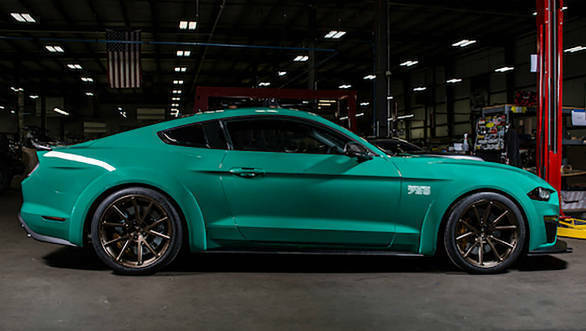 At the Los Angeles Motor Show, Ford brought the 2018 Mustang Roush 729 that was shown as a concept at this year's SEMA auto show. 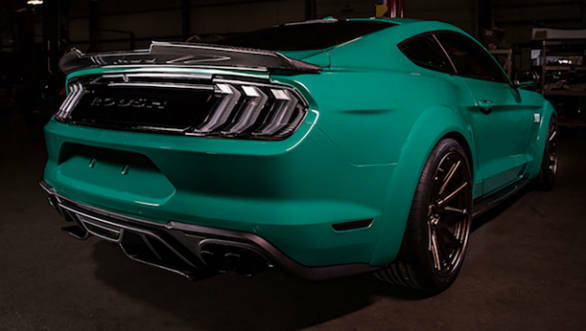 The colour treatment given to this concept might appear familiar to Ford enthusiasts because the 2018 Mustang Roush 729 is a homage to the iconic 1970 Boss 429. The 2018 Ford Mustang Roush 729 gets radical styling over the regular pony car. This can be seen with the wide body pack designed by Roush and Stratasys. 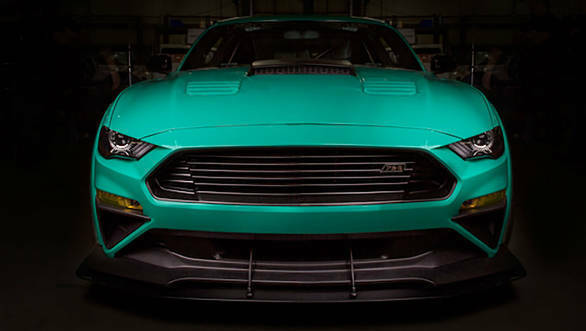 To make things lighter and better, Ford has equipped this one with carbon fibre components for the front splitter, rear spoiler and also the side skirts. The Roush 729 runs on custom Vossen RVS forged alloy wheels on Continental ExtremeContact Sport tyres. Doing braking duties on this are Brembo units on all wheels. The 2018 Mustang Roush 729 is a homage to the iconic 1970 Boss 429. Under the hood of the 2018 Ford Mustang Roush 729 is the GT's 5.0-litre Coyote V8. Roush has added a new supercharger kit that has been developed with Ford Performance. It gets new front-inlet, front-drive design. The 5-litre motor now, thanks to the optimized porting and integral bypass along with Roush cold air intake, makes a staggering 700PS of power. The hood also comes equipped with a special functional air scoop that feeds air to the ram air intake and cold air intake. Owners of the Mustang Roush 729 can also have an option of tuning the exhaust note with the help of the new exhaust system. Inside, the 2018 Ford Mustang Roush 729 comes with Recaro Racing seats draped in custom leather by Katzkin and a four-point racing harnesses. For additional safety, the performance muscle car comes with a Watson roll cage. All the additions mentioned above can be added to the 2018 Ford Mustang, for a premium obviously. Here is a video explaining how the different bits of the 2018 Ford Mustang 729 were brought together.